Turn your vision into action at Gartner Symposium/ITxpo, where the world’s top CIOs gain a strategic view of the emerging trends shaping IT and business. Through an unparalleled intersection of Gartner analysts, industry experts, peers and solution providers, you’ll explore new ways to approach critical challenges, make decisions with confidence and achieve greater impact as a leader. Monday, October 1st – Thursday, October 5th. Despite significant investments in data security, data breaches continue to make headlines. WHY? A DLP system must reduce the risks for both data infiltration / exfiltration while aiding with GDPR & NY DFS compliance. Learn how DLP can prevent data breaches while avoiding the known pitfalls. Uzi Yair, the co-founder of GTB Technologies, Inc. leads the product development of GTB's game changing DLP that Works platform. For the past 15 years, Uzi has been advising and providing insightful guidance on all aspects of data protection for some of the world's largest enterprises & government organizations. Uzi holds an MBA from Columbia Business School along with a BS in Computer Science and Mathematics from Hofstra University. 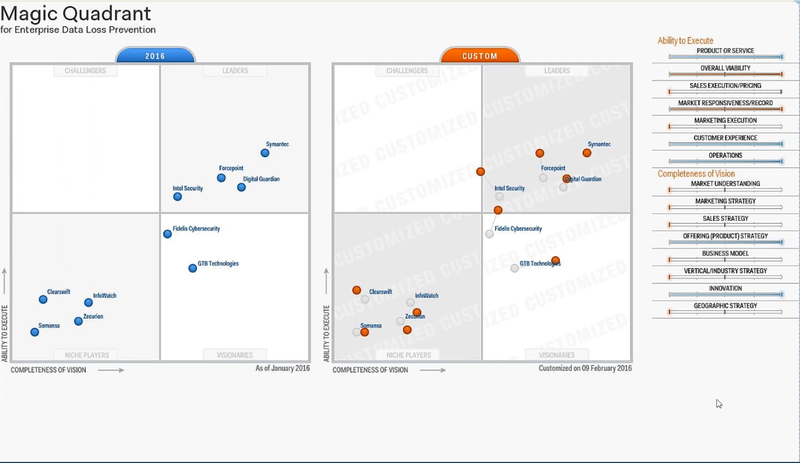 GTB Technologies, positioned in the Gartner Magic Quadrant for Enterprise Data Loss Prevention as a Visionary for five consecutive reports, along with a 5 / 5 Gartner Peer Insight Review, will be unveiling another game changer to its DLP that Works Platform and showcasing market leading Data Protection platforms which are consistently leading the way with channel coverage, precise detection, visibility and control for all forms of data whether it’s at rest, in motion or in use. GTB's DLP that WorksTM is the multiple award-winning flagship platform from GTB Technologies that launched the company into a leadership position in the Data Loss Prevention market. GTB’s DLP Security Manager automatically accurately identifies and blocks sensitive data before it can be exfiltrated. At the core of GTB’s unprecedented sensitive data detection capability is its revolutionary intelligent data recognition platform that couples the power of proprietary intelligent processes with mathematical science.